So much of business's planning in relation to reviews currently ignores 'future-proofing'. Understandably businesses want to see quick results (and this will happen) but all too often the wrong long-term strategy is adopted, resulting in unwelcome changes of direction. In this article we will shine a light into the future by making some predictions based on our experience and professional knowledge, combined with little common [business] sense. On top of that we will highlight flaws in current reviews mechanisms, so you will be able to approach crucial decisions about review management for your business with 'eyes wide open'. We intentionally avoided numbering this list 1, 2 and 3. Read on and you will see why. The reviews websites will wither and die, not all of a sudden - they have far too much capital behind them (Yelp currently has a market capitalisation of over $3bn, but just look at the trajectory of its share price since Google entered the reviews market: Trading at under half its all-time-high of $100 back in 2014) - just like Yellow Pages, steam trains and canals before them, they will be gradually replaced by more efficient alternatives. They are already being replaced by Google - consumers don't want to visit a different site for each and every discreet need - they just want to 'google', and there is a very good reason 'to google' is an established verb in every language on the planet and 'to yelp' or to 'trustpilot' in not. Those alternatives? Currently it is impossible to see past Google and Facebook. Why? It is simple really: [almost] everyone visits Google multiple times a day (and Facebook, to a greater or lesser extent). How many times did you visit Yelp, the biggest 'general' reviews site on the planet, to find a business last month? Exactly. At present you are many times more likely to visit Google to find a business than you are Facebook, but, depending on just how nimble Facebook is, that may change in future. What does everyone see when they search? 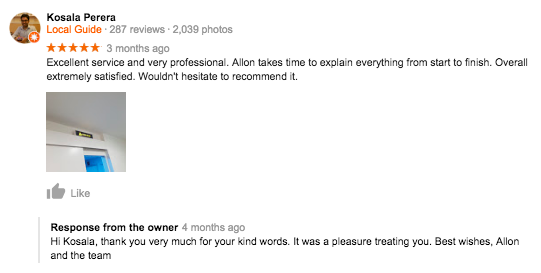 Google reviews - and that's why it is so important that they can be relied upon. Consumers rely - more with every day that passes - on Google reviews. So Google must make those reviews as reliable as it can. Attribution and verification: there are good reasons why some reviewers should be able to maintain anonymity, both from the business they are reviewing and from the reading public, but that does not mean that anyone and everyone should be able to post a review of a business with impunity. 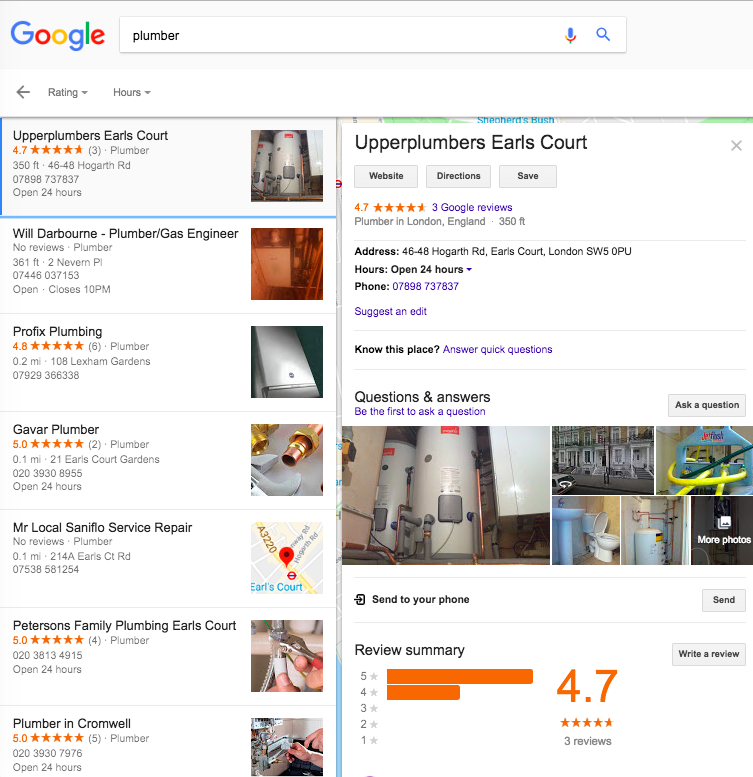 At HelpHound we hope that Google will introduce a 'verified' category of review as soon as possible - whilst at the same time identifying unverified reviews and excluding their scores from any algorithm designed to produce the Google score. This review was published on Google. It's impact? The hotel's bookings dried up completely. Luckily HelpHound spotted the story in the national press and stepped in to help the business appeal the review with Google, successfully. But think how you would feel is your business received a review like this. Read the full story here. A fair appeals mechanism. Currently any Google review that remains un-flagged will stand - doing harm to the business under review, perhaps unfairly. We think it would benefit all concerned, the business, the reviewer, the potential customer reading the review and Google, if they refined their appeals procedure to, at the very least, insist on some form of proof that a reviewer had used the product or service under review before a potentially fraudulent or inaccurate review is allowed to stand (and its score impact the business's overall score). But what is this business like today? Time limits: Businesses change, for better or for worse, so reviews mechanisms should accommodate that. A business that has built up a great score over the years should only be allowed to maintain that score if it is reflected in its recent reviews. Conversely, a business that has improved its customer service over the recent past should not be held back by an outdated low score. By all means let the individual reviews stand, but we suggest that any reviews over 18 months old are archived for the purposes of the algorithm that calculates the business's headline score. ...written by someone who has written over 200 reviews of other business and has used their 'real' name and a photograph of themselves. On top of that they are a Google Local Guide. But their review has been neutralises, for the purposes of the business's Google score, by Vintage Bluenote's rating. The business? An ophthalmic surgeon - would you want reviews of a surgeon you were considering using to be held to higher standards than those of a pair of shoes? Currently they are not. It goes without saying that at HelpHound we think they should be. Differentiation between products and services. Product reviews are all well and good - they certainly help shift product! - but service reviews, especially those for 'high-value' services, need special treatment. We have come across so many abuses where both business (and sometimes consumers) 'work the system' to their advantage. The business that requests the review 'before the paint is dry' to improve its chances of a positive review is just one endemic example. There should be a higher 'standard of proof' incumbent on the reviewer of say, an oncologist, than someone reviewing a toaster. Google to be more proactive in ensuring opinions have not changed over time. "You wrote a 5* review of ABC plc twelve months ago, has your opinion changed?" This would address the issue of businesses that only invite reviews when the product or service is 'straight out of the box' and vastly increase the value of Google reviews at the same time. Don't 'partner' with reviews sites that contravene either the CMA rules or the laws of natural justice. If a reviews site favours its paying business customers over its reviewers Google should not be awarding them some kind of 'seal of approval' (Google partnership) or favouring their results in either organic search or 'Reviews from the web'. Reviews shown a Google search, in whatever way, should achieve the same stringent criteria Google sets, or will set in future, for its own reviews. This function - 'Rating greater than [4.5]' is available to opt-in on desktop search. We believe it should be the default for any Google search. Ranking in search should reflect a business's Google reviews score. Who wants 'any plumber' (or even a random list of plumbers - even if that list is based on a defined geographical radius)? And you certainly don't search for 'any lawyer' or 'any cardiologist'. Give people the results they want. And those results? The best, in the opinion of their own customers. Google already has the tools to do this, and offers them to users on mobile devices, but we think this should be Google's default. In theory Facebook, with its overwhelming dominance in the social sphere (Google+ comes nowhere near its penetration), should be a major force in reviews. After all, who are consumers most likely to trust? A random selection of reviews by people they don't know or reviews by their friends? What does this mean for business users of Facebook? They have two options - enabling the reviews function or not. 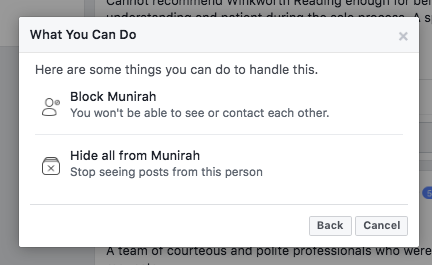 If the business is subject to what it considers to be an unfairly damaging review on Facebook they have (with a few exceptions) very little remedy aside from simply disabling the Facebook reviews function, thereby losing all their Facebook reviews. This is not a decision that should be taken lightly, as it may well be noticed by competitors and means losing not only all the business's past positive reviews, but all future ones as well. It should review its review appeals procedure. It should allow businesses to make a case for inaccurate or potentially misleading reviews to be challenged. It should acknowledge the fact that most of its users also work for businesses, and those businesses are being unfairly harmed every day of the year by inaccurate, unfair and plain fraudulent reviews. 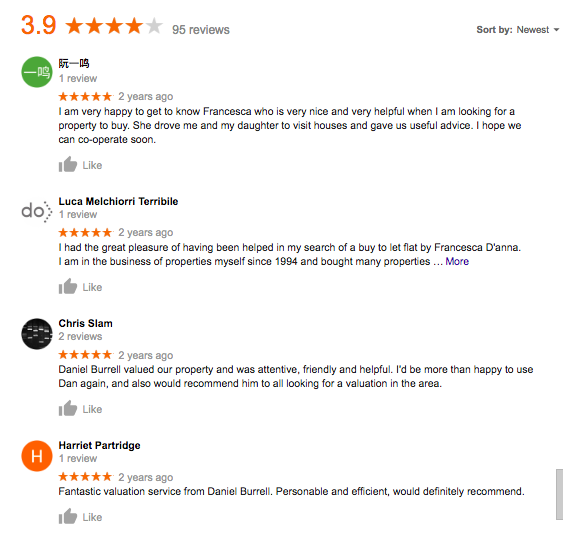 Google reviews are undoubtedly the most trusted reviews on the planet today, by such a large margin over reviews from the reviews sites we sometimes wonder why the latter persist, but - and this is a big 'BUT', Google need to take steps to protect that position, along the lines we have detailed in this article. Trust is critical if consumers are not to be misled - and lose confidence that once lost will be very hard to regain, and Google has it within its power to enhance that trust considerably. Watch this space for developments.